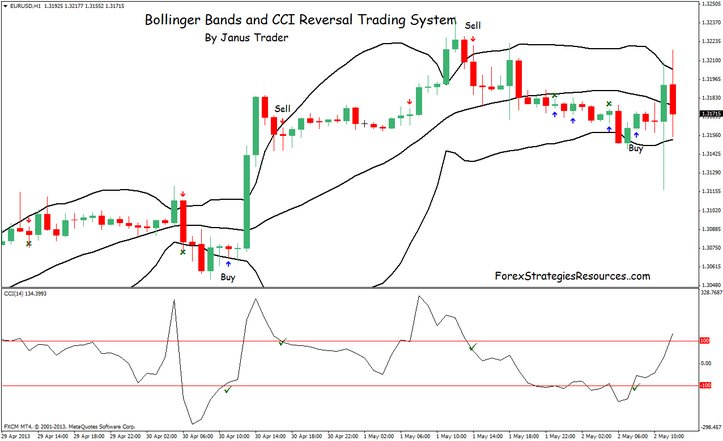 This is a Bollinger Bands Reversal Strategy. 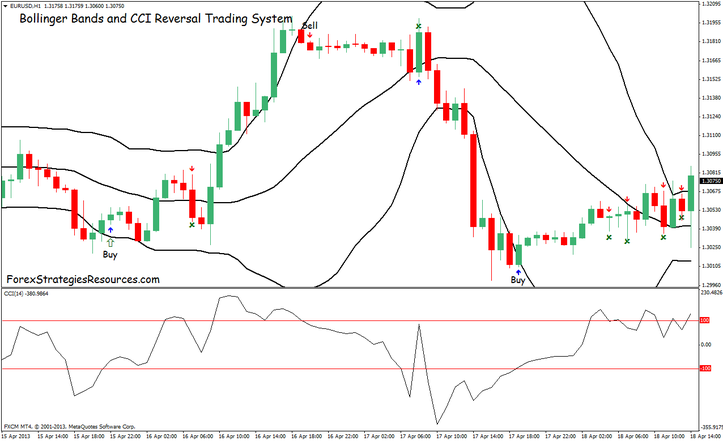 CCI indicator arrow (14 period on the chart). 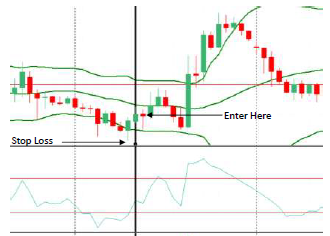 Don’t enter if the candle is close to the Bollinger Bands center line. Setting profit targe 20 pips or exit at 2 pips before the middle band.